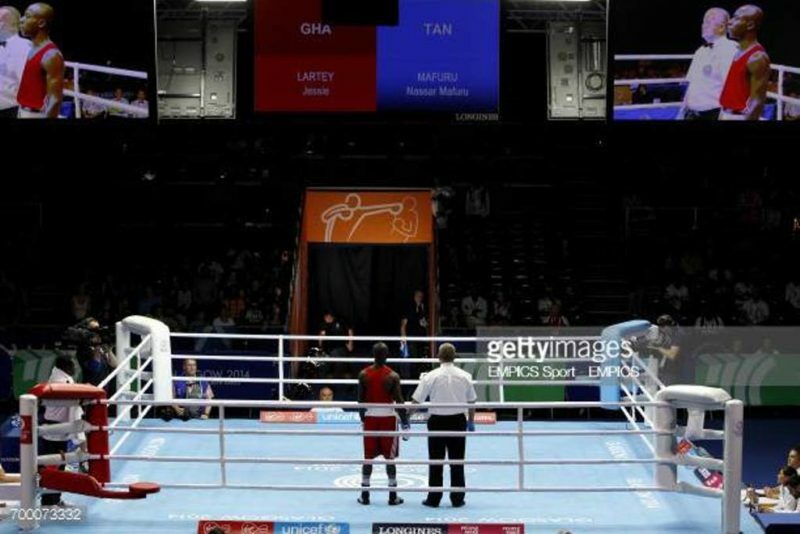 Ghana’s Jessie Lartey became the only medal hope for the powerful west African boxing nation on Tuesday, April 10, 2018 having beaten Sinethemba Blom 3-2 in the men’s 64kg to advance the semi final stage of the 21st Commonwealth Games at the Oxenford Studios in Queensland, Australia. The South African [Sinethemba Blom] having lost the Round 1 to Lartey came back strongly midway through the second round, but the Ghanaian maintained his guards on whiles controlling the tempo. Jessie Lartey will face Canada’s Thomas Blumenfeld in the semifinals on Friday, April 13 whiles Jonas Jonas of Namibia takes on Luke McCormack from England. The story was not the same for Ghana’s Samuel Yaw Addo, who lost 0-5 to Peter McGrail [England] in the other semifinal bout.